“In Step with the Master Teacher is boring!” That was my first impression of ISMT. I was fifteen years old when I was invited to attend only because my mom was one of the trainers. I went because I had to, but it wasn’t something I appreciated. I couldn’t have known that five years later I would have another encounter with ISMT that would change my life forever. Quick background: I am currently a senior at Philippine Normal University with a major in Early Childhood Education. I’d never actually wanted to be a teacher. It just wasn’t my dream or what I saw myself becoming. But while I was a delegate to a Christian youth congress in Indonesia, God made clear that he had created me to be a teacher and to impart the gospel of Jesus Christ to children. Now that I knew God’s plan and was obeying him, I thought early childhood education would be an easy ride. But it turned out to be just the opposite. 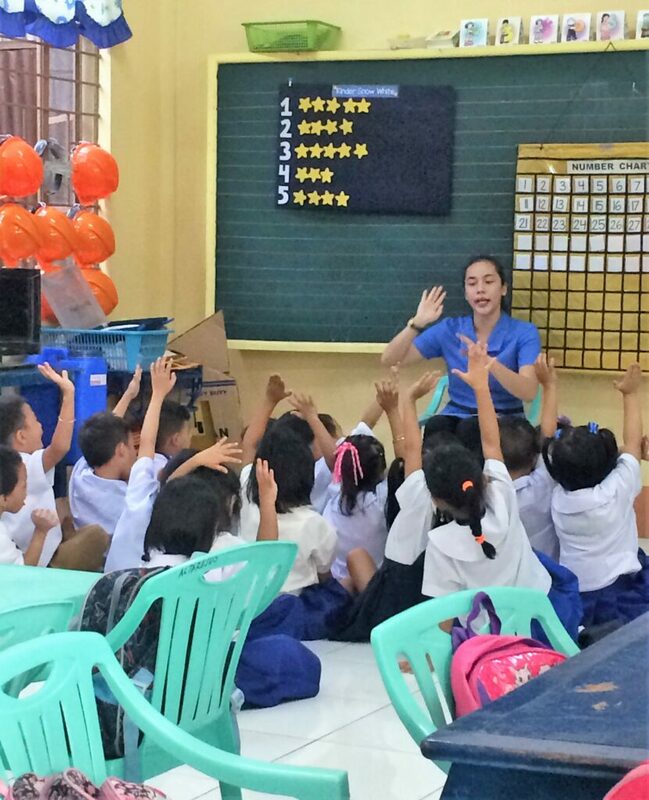 During the first trimester of my senior year of university, I had to complete an internship at a public school in Manila, capital city of the Philippines, that caters to disadvantaged children. I taught kindergarten students, who were extremely difficult to deal with. At just five years old, they would curse each other and misbehave in class. Every single day, I felt hopeless, tired, and unsure of what to do. Then one Saturday morning, I attended an ISMT workshop, again because my mom was one of the trainers. But this time as I listened, my mind began to drift to my time in Indonesia. God had shown me his plan for me to become a teacher. But now I realized I still needed some shaping. Through ISMT, I recognized my flaws and what I still lacked to become a good teacher. All this time I’d been thinking about myself becoming a teacher, but I’d been neglecting the part about ministering to my students. After the ISMT training, I began to see my students in a different way. However challenging they might be, I remind myself I have to love them the way God does. And no matter how tired I feel, I still get out of bed at 4 a.m. because I do not want to waste a single day in which they can feel God’s love through me. Some of my students come from broken families. Others live in a chaotic, impoverished community. The least I can do is to love them unconditionally without any reserves or hesitations. As I changed my own attitude toward my students, I began to see changes in then as well. I now see the difference of executing my job with a mindset of helping my students know, love, and obey God. There are still rough days, and, yes, I still get tired, but that does not diminish the burden on my heart for my students to come to know Christ through my interaction with them. I thank God for In Step with the Master Teacher and how it has helped me to become a better teacher and a better individual.